MFG Tray’s ESD nest & stack boxes are highly functional material handling products that bring exceptional performance, value and protection to electronics applications. These boxes stack when full and, with a 180° turn, nest when empty. They feature smooth outside surfaces and radial edges for safe, easy handling. 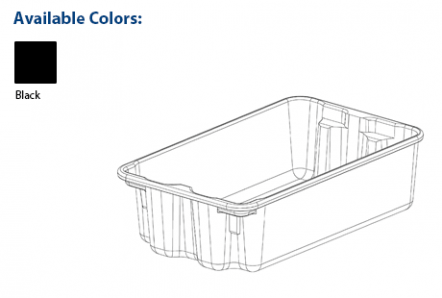 Optional lids protect parts from damage or contamination, and the containers may be stacked when lids are applied. 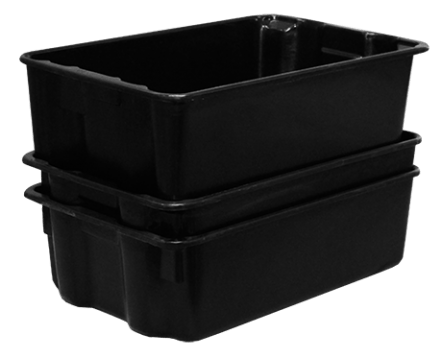 Fibrestat nest and stack containers will not bend or sag under loads, will not corrode, and possess superior physical properties over thermoplastic and corrugated products. They are ideal for machine integration and robotic applications, and can be used continuously in temperatures ranging from -60° to 250° F (-51° to 121° C). They are impervious to radiation, oils, greases, detergents, and mild acids and alkaline solutions within a pH rating of 3.0 – 10.0.